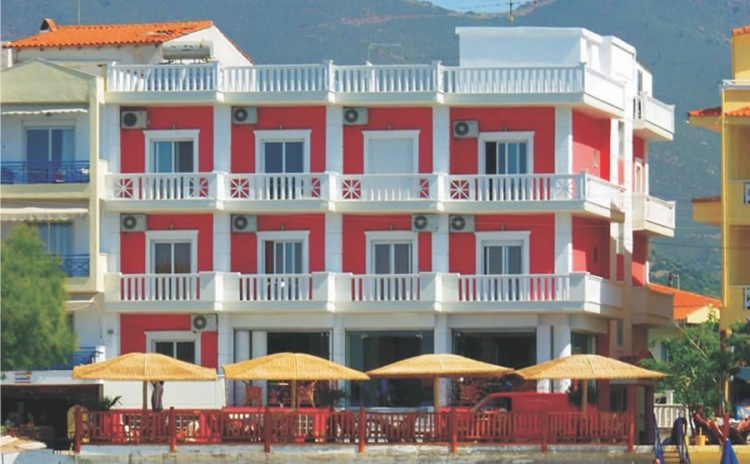 Hotel Samaras was built in 2001 in a very privileged location. Situated a stone’s throw from the beach, consists the ideal base from which you can tour the fascinating island of Thassos. 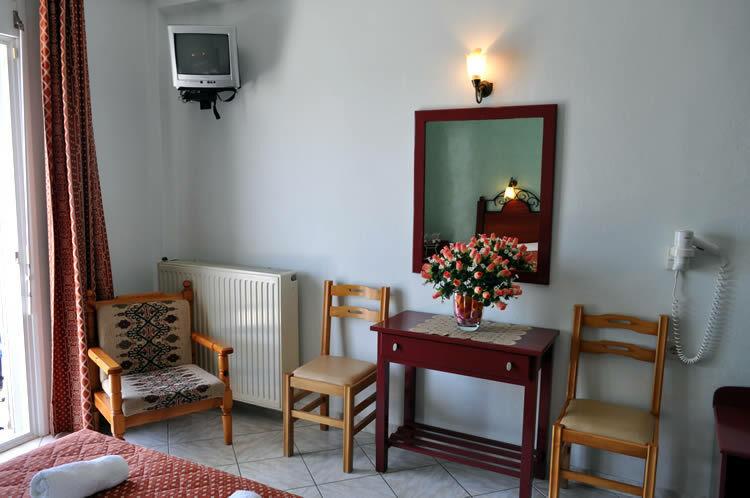 With the impressive neoclassical exterior styling and the beautifully designed rooms, Samaras Beach Hotel will offer you moments of carefree and relaxation. 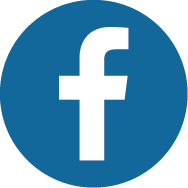 Our hotel is ideal for families, groups and solitary travelers seeking luxury and pampering. 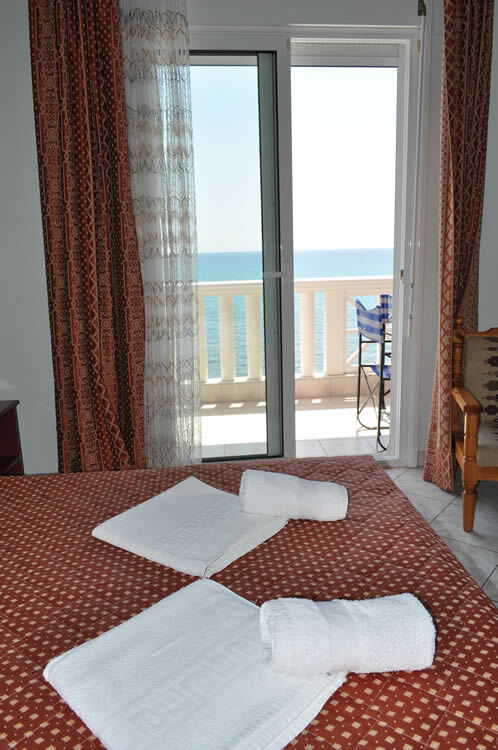 Enjoy swimming in the sea, hardly 1 minute away from the hotel, or in the swimming pool right outside your door. 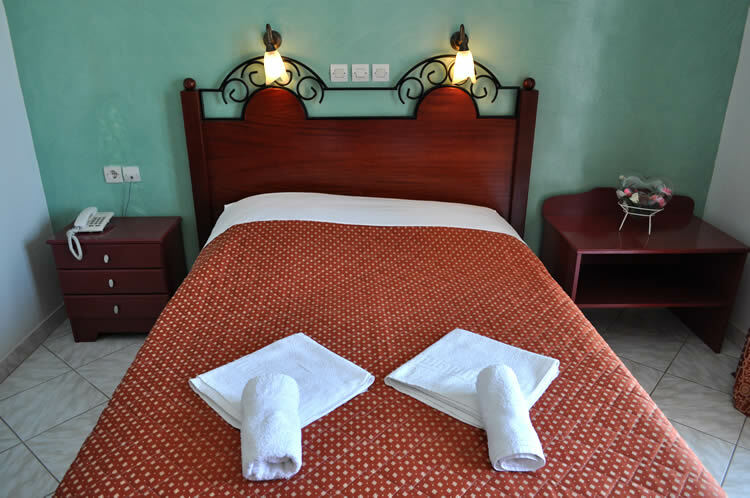 If you prefer the comfort of the room, we have designed 20 spacious, elegant and practical rooms for you that accommodate from 2 up to 4 people. 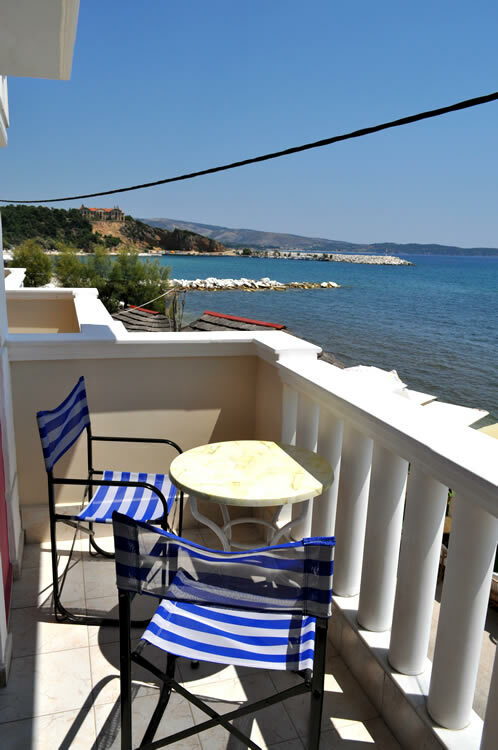 The view of the Aegean Sea from the private balcony is sure to captivate you. 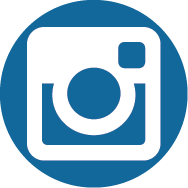 In case you need anything, our staff will be at your disposal and always willing to accommodate your needs. 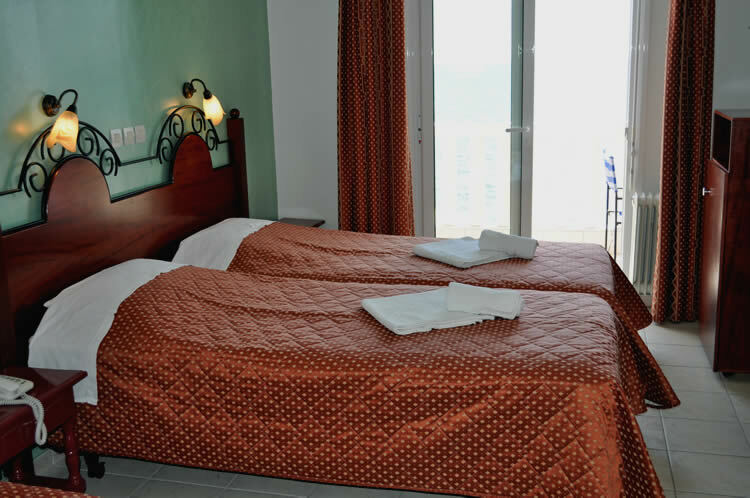 Decorated with dark wood and shades of blue-green and indian red, Samaras Beach Hotel’s rooms are cool, quiet and peaceful. 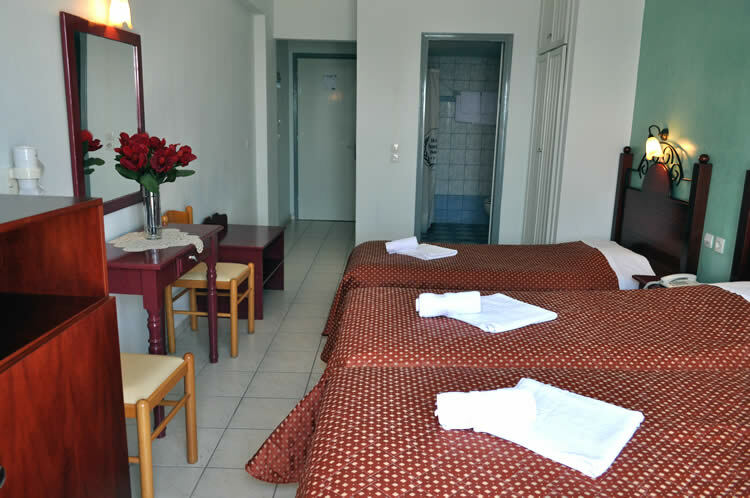 These spacious and comfortable rooms are filled with amenities, such as satellite TV in order to enjoy your favorite movies, a spacious bathroom and private balcony with stunning sea views. 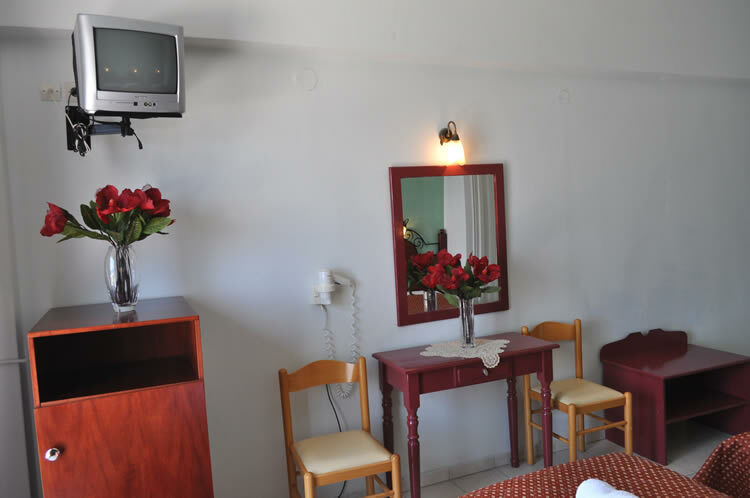 Our rooms include amongst other amenities, air conditioning, mini bar and safety box. The rooms are cleaned daily. It sleeps 2-4 people. 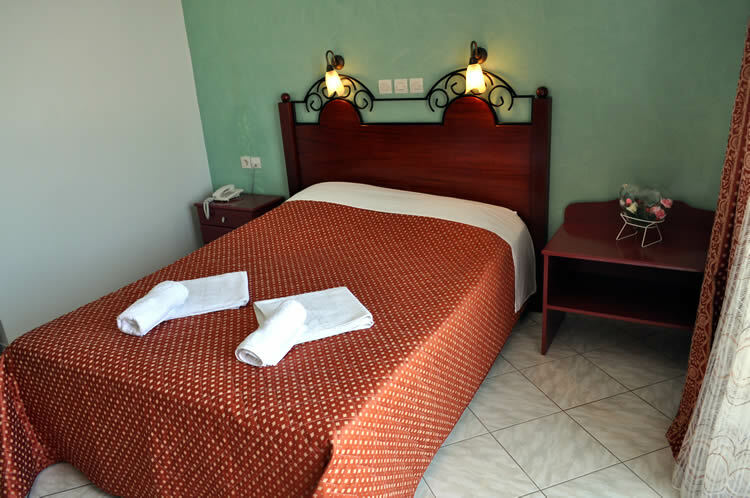 Our hotel is ideal for families, groups and solitary travelers seeking luxury and pampering. 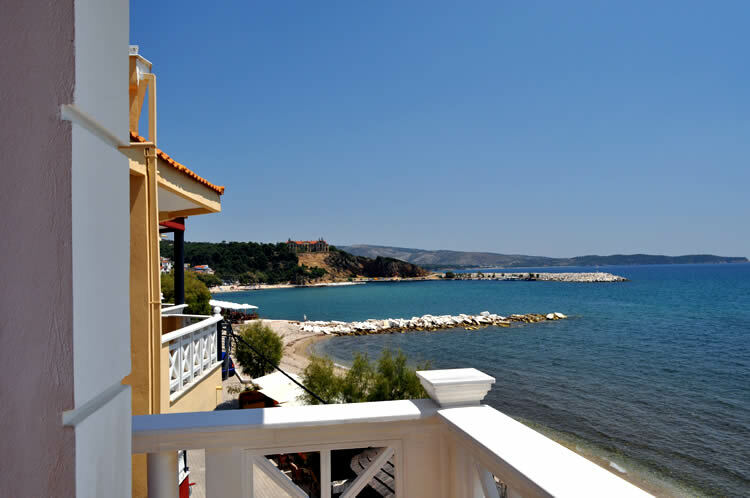 Enjoy swimming in the sea, hardly 1 minute away from the hotel, or in the swimming pool right outside your door.